Explore the numerous day-trip ideas around Amsterdam: Grote Markt (in Haarlem) and The Hague (Binnenhof & Ridderzaal (Inner Court & Hall of the Knights) & The Mauritshuis Royal Picture Gallery). 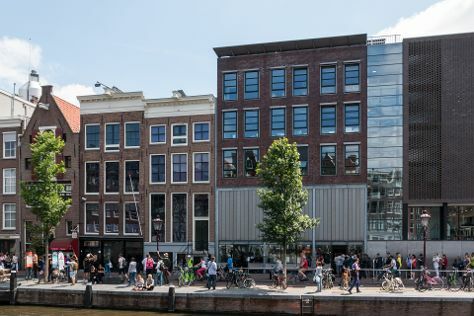 There's much more to do: take an in-depth tour of Anne Frank House, meet the residents at ARTIS, sample the tasty concoctions at Heineken Experience, and wander the streets of The Jordaan. For photos, maps, ratings, and more tourist information, read Amsterdam trip planner. Cairo, Egypt to Amsterdam is an approximately 7.5-hour flight. You can also do a combination of flight and train; or drive. Traveling from Cairo to Amsterdam, you'll gain 1 hour due to the time zone difference. When traveling from Cairo in December, plan for colder days in Amsterdam, with highs around 9°C, while nights are little chillier with lows around 3°C. Wrap up your sightseeing on the 31st (Mon) to allow time to travel back home.